WRESTLING Moving away from conditioning, the Brahmas are prioritizing technique to finish strong. Senior Christopher Perez won his 152 weight class match against Montclair. Moving away from its summer training methods, Diamond Bar High School’s wrestling team is focusing on improving technique that they hope will push them to CIF. After the first match against Walnut High School ended in a tie, the team defeated Ontario High School 58-24 and Chaffey High School 52-29. Last Thursday, the Brahmas were defeated by Montclair High School, 44-36. With CIF around the corner, Banafe said he believed that athletes such as senior captain Connor Diamond will have a breakthrough later this season. Despite the team being male-dominated, girls such as sophomore Claudia Gomez continue to contribute to the team. Gomez carries a 3-4 individual record this season. “This year the girls haven’t been doing the best, we all lost our matches against Walnut. We are going to a tournament for girls [only] where we are going to do better,” Gomez said via Instagram. The all-girl match took place Jan. 18-19 at Ayala High School, where Gomez and junior Sooyeon Eun each posted 4 wins and 1 loss on the first day. That qualified them for the second day of the tournament, ending with Eun in sixth place and Gomez in seventh. Now in mid-season, the team is practicing more form work along with wrestling situation techniques, instead of the large amount of cardio they did at the beginning of the season. Along with Diamond, senior Andrew Cardiel and junior Dylan Wong round out the leadership on the team. 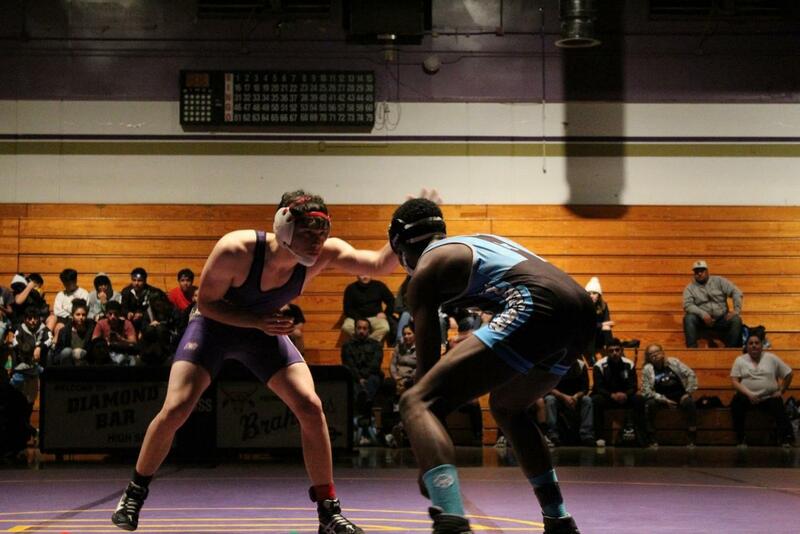 The team’s final league match is on Feb. 2 against Don Lugo High School.